The art of using what you already have to create more. The idea behind upcycling is to take something old or unwanted and then to give it a new purpose or use. This is often applied to clothes and furnishings – and is particularly popular with respect to furniture. Large items like a bed or a sofa are often quite an investment and so it can be painful to face up to simply throwing these out and then paying for something new. Thanks to upcycling you don’t have to do that – instead, you can create a new piece from old furniture and save yourself money instead. 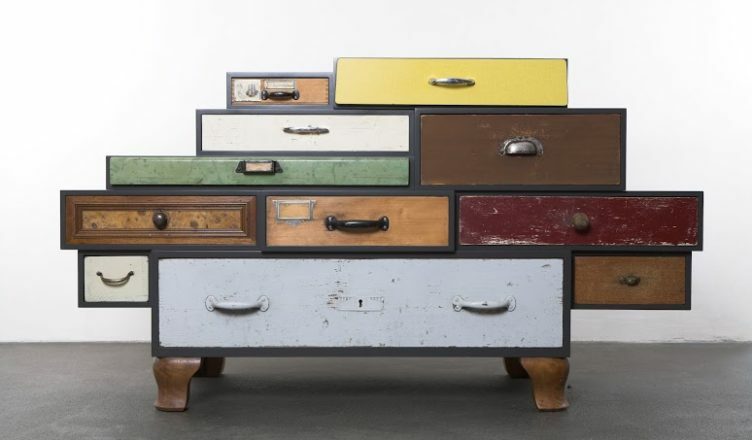 Upcycling is especially useful if you have a poor credit rating as you can avoid having to find a loan yet still get “new” furniture for your home without the need for expensive credit card borrowing or loans for people with bad credit. Before you go shopping and buy something new, look around at what you already have. You might also want to consider going to a yard sale or car boot sale, as well as home auctions and second hand stores. You’re looking for items of furniture that, with a little work, could be transformed into something exciting and new. It’s quite difficult to upcycle something that has been made from very cheap materials and is not really built to last. The ideal furniture for upcycling is a piece that has been produced from high quality materials and which has been bespoke or hand made. This will give you a good basis from which to work. It’s also important to look for damage to any items that you’re considering buying or using for upcycling purposes, as this can ruin a project if found later. You don’t need an extensive set of tools to be successful when it comes to upcycling but some basic items do help. Some of these include a sander, sandpaper, paints and stains, a paint sprayer, brushes and cloths and paint stripper. Create a basic toolbox for yourself with these items in and you’re ready to begin upcycling your first pieces of furniture. Upcycling may look easy but there is an art to getting it right to the point that you’re really happy with the results. So, start small initially with something like a dining room chair and get to know key skills such as stripping back old surfaces and painting or staining. It’s a good idea to begin with a few pieces that you’re not particularly invested in, as then you can just have fun and throw them away when you’re finished. Many people swear by latex paints but these often need priming and prepping. Chalk paints, on the other hand, don’t require this process so you could end up saving more money in the long run. Don’t be afraid to let your creativity run free when you’re working on upcycling projects but give yourself time to plan and design them too. That way you’ll achieve the perfect balance of workmanship and art.